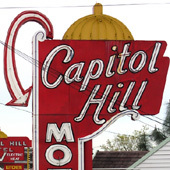 Drive parallel the Columbia River as it seeks the ocean and you’ll find yourself in Portland whose alignment of Highway 99 provides an impressive array of neon dreams to photograph, notably the Capitol Hill Motel. By day, you’ll find a sullen display of red brick and shingles. 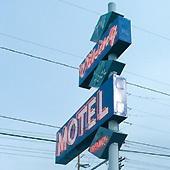 But the night brings another side of the old motel in gas-lit yellow, orange, and green. 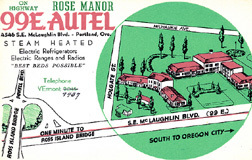 Sadly, plenty of other Portland beauties have lost their battles with history or remain and continue their struggle with drugs and prostitution. 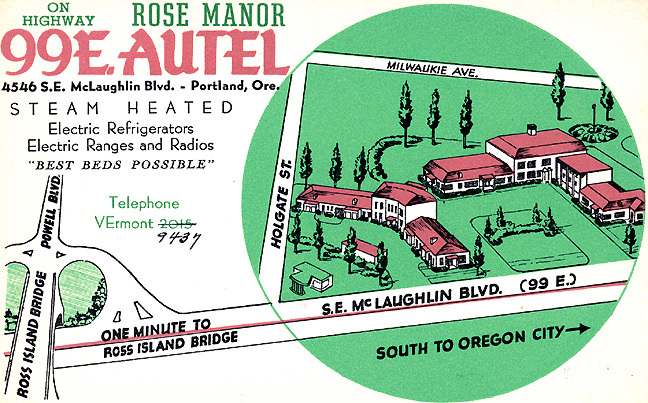 Your best bet when you visit the City of Roses? 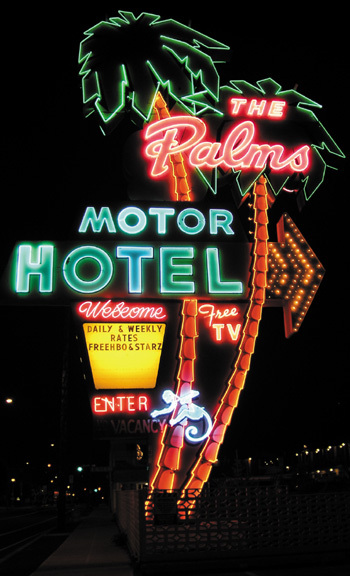 Seek out the Palms Motor Hotel, the one whose glowing sign features tall electric trees, “Free TV,” and a neon monkey. 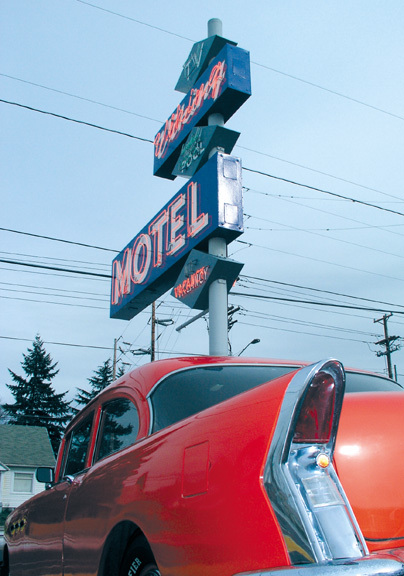 Some folks report a remarkable similarity between this motel and the “Desert Palms Motel” in Kent Anderson’s violent depiction of mid-seventies Portland in Night Dogs. But don’t let that turn you off. 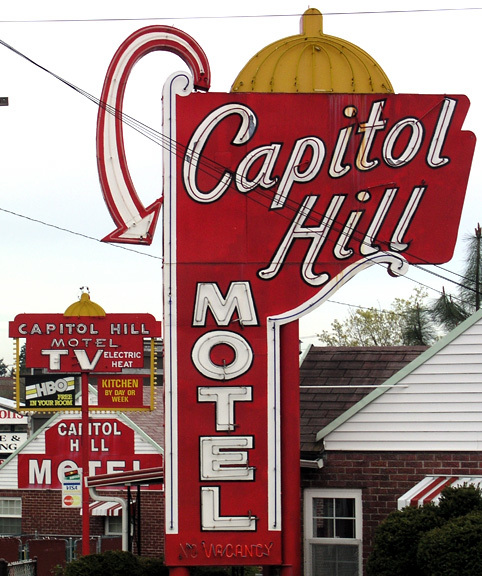 The motel has recently undergone refurbishment and the rates are reasonable. 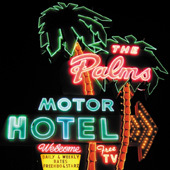 Best of all, if you simply cannot get enough of a tiki fix from the Palms Motel, check out the nearby Alabi Lounge for a strong and syrupy (thus, barely authentic) Mai Tai.